Updated A problem with credit and debit card readers has left some unlucky UK retailers staring at an error message rather than collecting cash. Register reader Toby Hewett noted that problems began from 7am yesterday, UK time, and sought assistance from payment processing giant Mastercard. The cash slinger popped out a message, seen by El Reg, saying it was "aware of a service event on the EU Retail Gateway" which was affecting card terminals. Mastercard added that it knew what the problem was and was "working with third party providers to provide a resolution". Further updates were promised within the next hour, but it took until this morning before an identical “yep, still busted”-type update turned up. Mastercard is currently, in big shouty red capitals familiar to anyone who has attempted to debate Brexit on social media, advising that retailers possessed of working terminals should not reboot them (or the PC to which they are connected) as, in their words, “THIS WILL CAUSE THE DEVICE TO FAIL”. 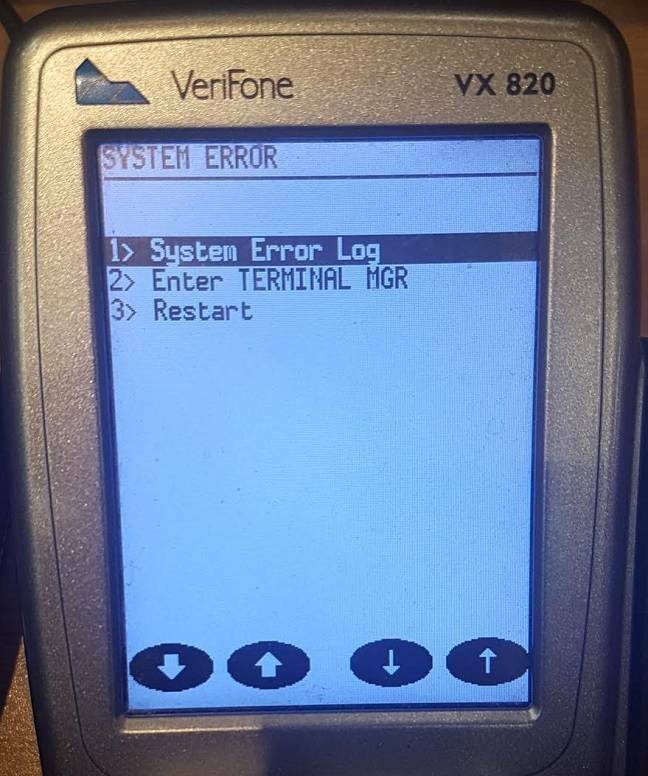 The issue appears to be limited to the chip and PIN readers (we’ve seen the error on the VeriFone VX-series) rather than anything on the payment network itself. A repeat of July’s incident would obviously be bad news all round. UK upmarket grocery and underwear retailer Marks & Spencer was also unable to accept card payment at a quarter of their stores yesterday, attributed to a technical issues with the PIN machines which engineers resolved overnight. A spokesperson told the Reg "The issue has now been resolved and affected stores are trading as normal this morning". The Register has contacted VeriFone for comment and will update when we receive a response. Verifone said on its website today that it was "continu[ing] to resolve this technical issue". It said a "solution is available, and our teams are making significant progress getting affected terminals up and running". The only thing lower than our prices is your security!